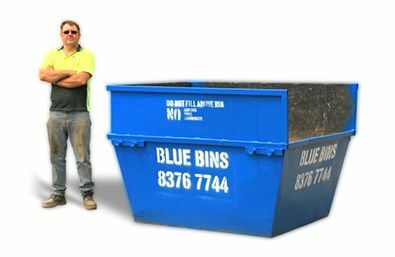 With over 27 years of waste management expertise, Kangaroo Bin Hire Adelaide has earned a reputation for providing quality services all over Adelaide. No matter the job size, we can handle your rubbish removal and waste management. 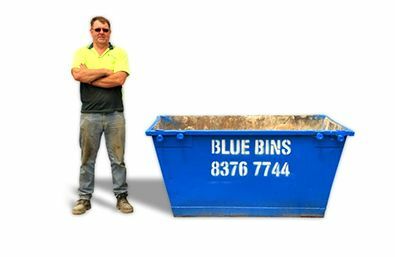 We provide a large variety of different sized skip bins, to suit all your rubbish removal and recycling needs, from huge skips to mini skip bins Adelaide wide. Whether you’re moving house or constructing office blocks, we can provide affordable, quick and simple waste removal, so that you can focus on the work at hand. There are no hidden fees or features, just high-quality assistance and value. 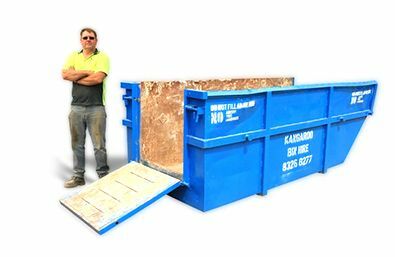 Combine your recycling and simplify your rubbish removal with our first-rate skip bin hire in Adelaide. We make the process of getting rid of the things you no longer need or want that little bit easier by providing hassle-free rubbish removal for both domestic and industry projects. Our team of experienced vehicle drivers, paired with our state-of-the-art fleet of trucks, are there to give you a helping hand. 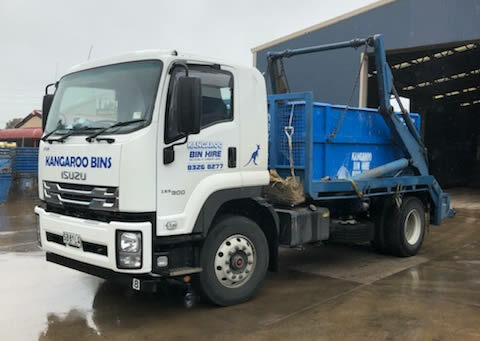 Our skip bins Adelaide team provides fast, effective and dependable hire of skip bins Adelaide wide, covering all of the Adelaide metropolitan region in addition to the outer north, south, east and the Adelaide Hills. 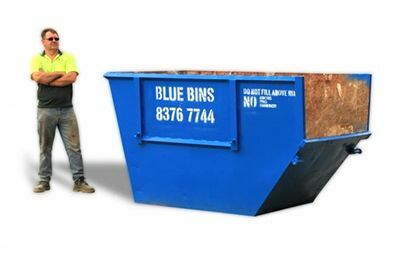 Rest assured, we offer the highest quality skip bin hire Adelaide has to offer, transported and handled by experienced industry professionals, with the best advice for your individual or commercial needs. Do you have rubbish or waste taking up space? Do you need junk and debris removed from your home office or work site? 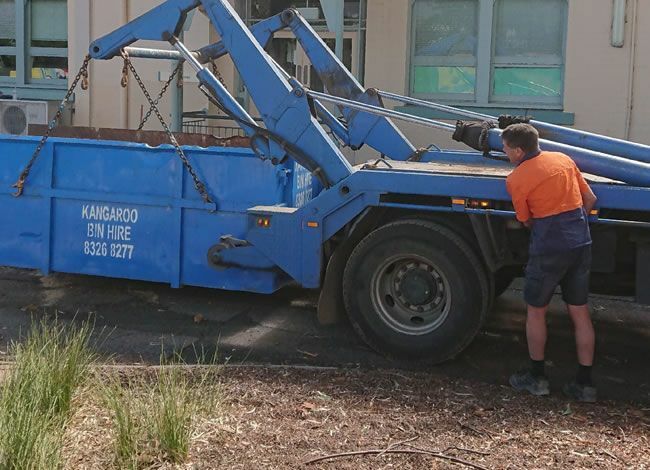 Whether you’re moving, cleaning out or renovating your household or office, you can rest easy knowing that Kangaroo Bin Hire is taking care of all your rubbish removal needs, large and small. 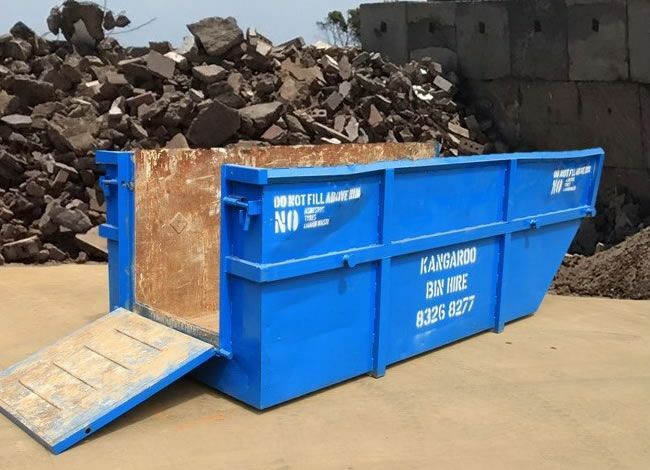 Throw away your trash and rubble with the help of our mini skips Adelaide. 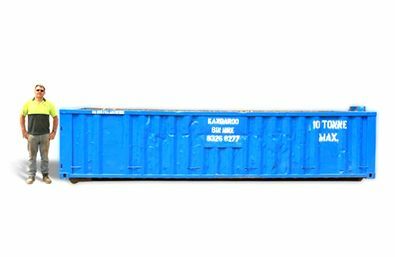 They might be smaller than your average skip, but their size makes them a perfect fit for domestic waste removal, making it simple for you to remove your rubbish and maintain your peace of mind. 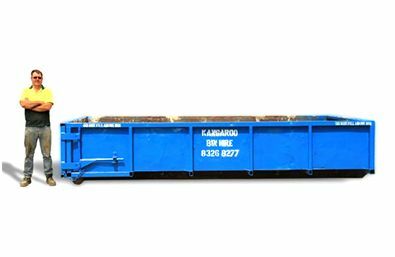 Keep the focus on your projects by having one of our large or mini skips Adelaide delivered to your address. 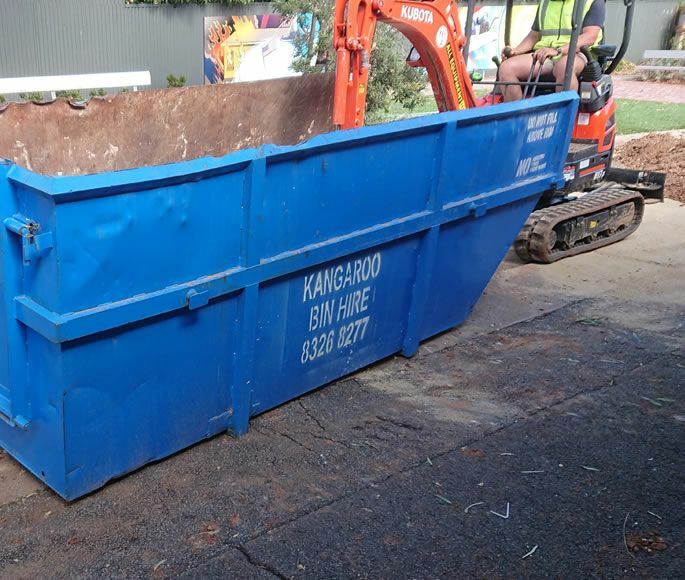 When it comes to reducing your environmental impact, Kangaroo Bin Hire Adelaide is here to help you with your rubbish reduction and removal. Dispose of your rubbish, recycling and waste without damaging the environment or cluttering up your space with the help of our skip experts. Keeping your property clean and free of rubbish and debris will assist in lowering any negative impact you have on your local environment. We’re committed to increasing the amount of waste that we recycle and take great pride in supplying expert waste management services at highly cost-effective prices.